Ruth Gazzam, whose family played a major role in the local history of the island, is the author of A Year In a Country School (1988). 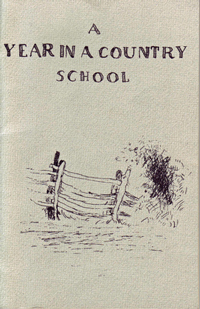 The booklet intends to "show those who have never had the experience of going to a country school, what one is like...". Originally hand-written, the account was published by the Bainbridge Island Historical Society. A copy is available in the local authors collection of the Bainbridge Public Library.